This stunning villa is among the best located villas on the entire resort. 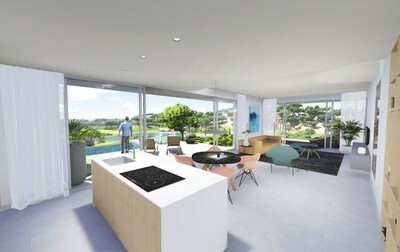 Entering the villa and your eyes will directly be drawn by the huge windows towards the terrace with amazing views over the course, and out to sea. 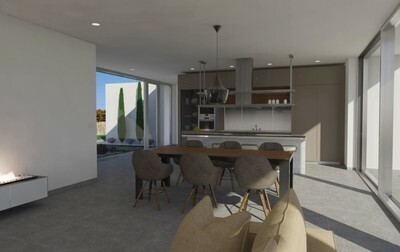 From the entrance you will on your left have 2 bedrooms, 1 study, 2 bathrooms, a guest toilet and a washing room. The two bedrooms both have en-suite bathrooms and furthermore access to the outdoor terrace. 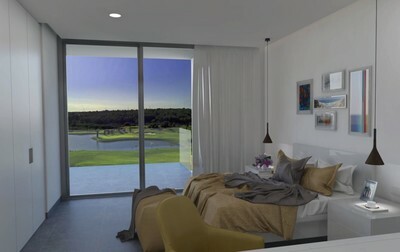 Walking to the right from the entrance and you will find the beautiful,large master bedroom. 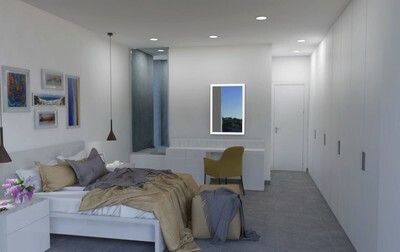 The master bedroom offers 19 m2 plus an en-suite bathroom of 7 m2. 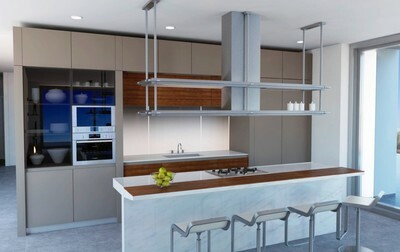 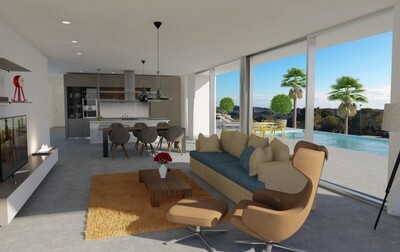 Also on your right you will find the beautiful and spacious open kitchen, dining room and living room. With huge sliding glass doors bringing lots of natural light into the villa and taking in thestunning views over the terrace, golf course and views to the Mediterranean Sea. 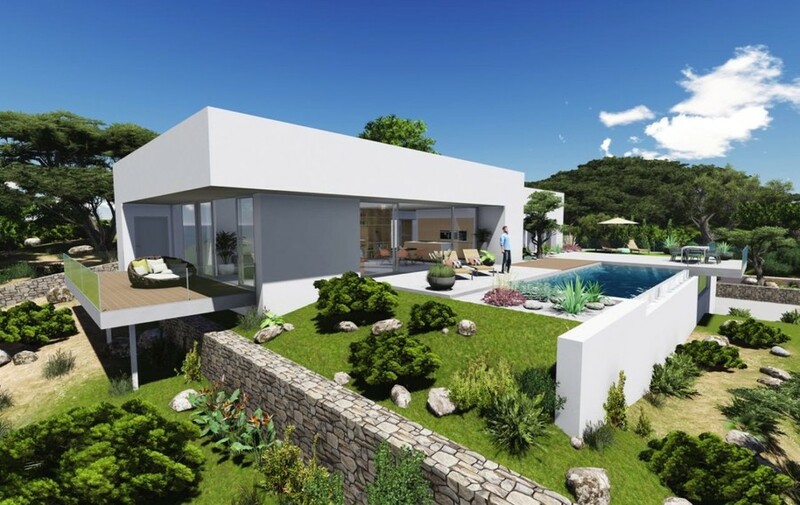 The terraces which have been designed and divided into different areas measure in total around 140 m2. 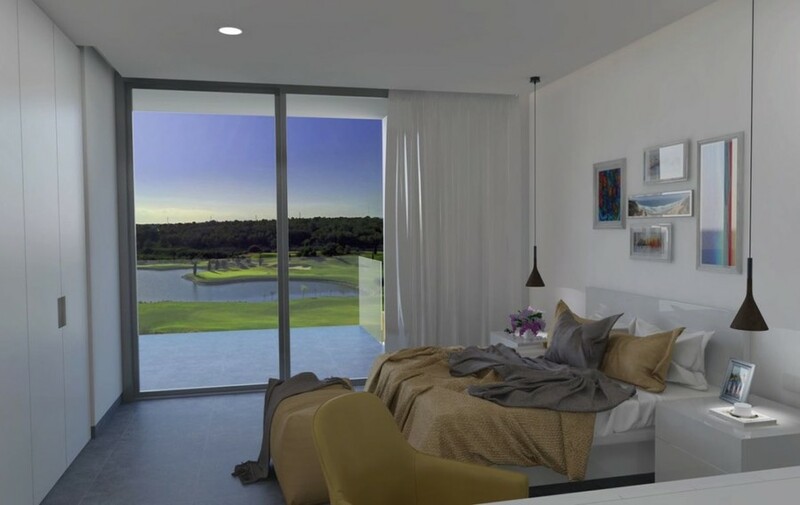 Within the different areas you will find a barbecue area, a lounge area around the huge swimming pool, and an area from the living room and master bedroom with views towards the golf course. 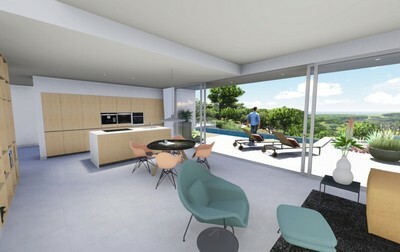 The villa also comes with a private underground parking garage, from where you have direct access to the villa.